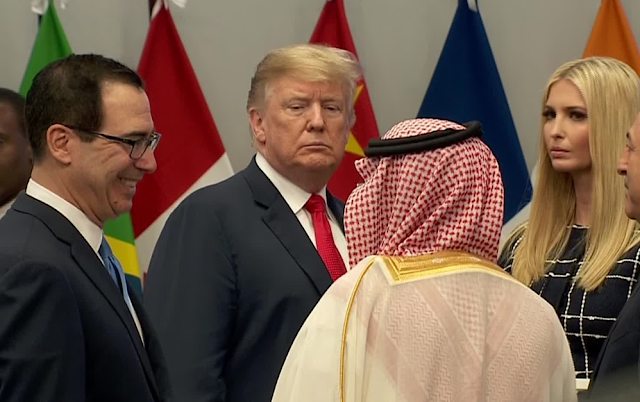 President Trump is at the G20 Summit in Buenos Aries. 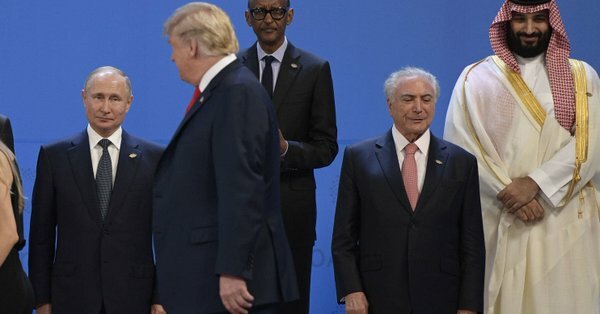 So is Ivanka, Treasury Secretary Steve Mnuchin and Russian President Vladimir Putin. 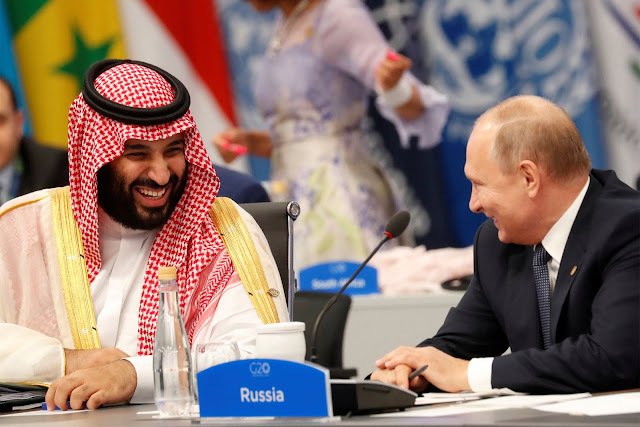 Saudi Crown Prince Mohammed bin Salman, who likely ordered the killing of Jamal Khashoggi, is also in attendance. Mnuchin, Trump and Ivanka with the back of MBS to the camera. MBS and Putin share a laugh.